When Jack and his sister, Jesse, came into the care of the KWWSPCA they were really nervous of everything. We do not know their background, but it obviously was not good. But both went into foster homes soon after they arrived and with a lot of love, patience and constant attention, they have come out of their shells and have got to know how a dog should lead its life. Jack is still a little nervous and doesn’t like loud noises or surprises. He gets on well with other dogs and happily shares his foster home with three other dogs. We do not know how he is with cats. He needs to go to a home that would be peaceful, preferably where there was another dog to show him the way and for company, and where there would be someone at home with him for a good part of the day who has the patience to get him to trust his new home and owners and to give him confidence. He will need lead training but he is house trained. He will also need a secure garden. Jack has been neutered, microchipped and fully vaccinated. For more information about Jack please call 087 1279835. 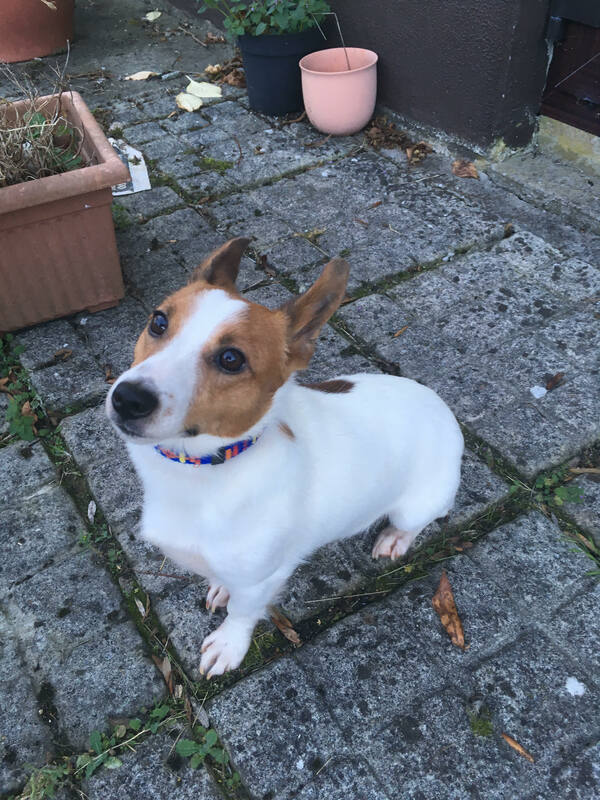 Jack is in a foster home near Athy, Co. Kildare, and an appointment would have to be made if you would like to meet him.